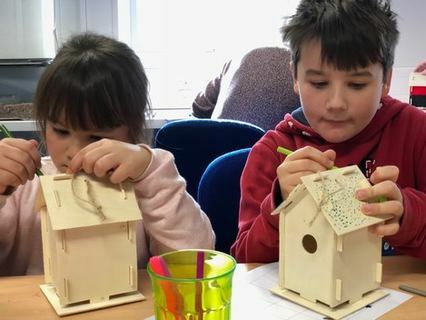 Children made bird boxes to take home and bird feeders to hang in their gardens to give the local wildlife a winter treat. If that wasn’t enough bird related fun they were also able to make flying finger puppets! The children had great fun bird spotting and tested their knowledge by identifying some of the native garden birds of England. Sizewell B has a Biodiversity Award in recognition of its work with Suffolk Wildlife Trust and is set in 684 hectares of land which is a haven for wildlife and nature lovers.